YOUR GIRL AINT WORKING TODAY. LEGGO. You can make an argument for that not being Tiana's princess dress though. I think of her bayou wedding dress as her "real" princess dress. Now that I think about it, I think Tiana has more costume changes that any other princess. You've got her waitress outfit, her "Almost There"/shadow realm dress, her costume that gets ruined at the party, the blue dress, the bayou wedding dress, her royal wedding dress, her construction clothes, and her final dress. DitzyDreamer, raikipins, pretty Omi and 1 other person like this. Tiana looks stunning! Some of those background colors are odd choices but the whole set looks promising. I could feel it in my bones they would be releasing a surprise set. I was sitting there yesterday going "I bet they will release a set soon". Fantastic set! What great love for underrated characters! I can't believe they did both Vanellope and Calhoun. sirradel and MerlinEmrys like this. Being a cast member on the east coast is rough on days like today. You haven't seen it?!? That's it. 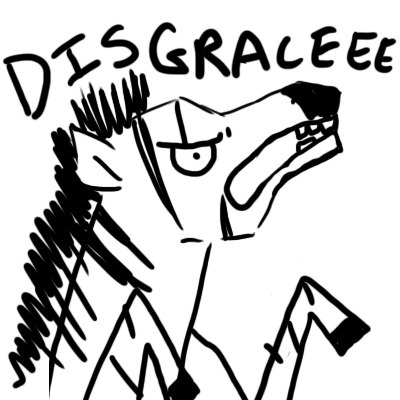 I'm breaking out the Disgrace Zebra. Pilotprincess916, Sami, Nasubionna and 5 others like this. Erin!!! Come on girlfriend get on it! CALHOOOOUN! I wasn't expecting her to be used since I didn't think they'd use two characters from the same movie (except from Frozen) because so many other heroines have been passed over, and Vanellope was a sure bet. (This also means that they NEED to do Felix during the Heroes set run!) I might be the only person who is most excited for Calhoun in this entire set. XD Finally a pin of her looking absolutely badass! I've always wanted to collect Calhoun and Kida, but most Calhoun pins just aren't that great and Kida pins are so hard to find. I agree with you on Calhoun. I don't know why they have a hard time translating her to great pins. *shrug* I know she's not really a major character, but neither are Taffyta and the other Sugar Rush racers and they have some awesome pins. Ajk and arielsdinglehopper like this. Finally, those obscure Disney characters that no one cares about are getting some love! Seriously though, it's nice that Disney is actually recognizing that TP and Atlantis exist. raikipins, NutMeg, Ajk and 2 others like this. Isn't it great? I'm tempted to scale down my BH6 collection to just the girls (sorry, boys!) and fill in the space with some Moana and Calhoun and Kida pins. Maybe Capt. Amelia too? I need to rewatch that movie. Oh, and Elinor! Love me some Queen Elinor. Dang! Disney's got me all hopped up on awesome women now! TheMickeyMouseRules, cadien, arielsdinglehopper and 2 others like this. I support you and your Badass Women collection. Nasubionna, TheMickeyMouseRules, watzshakinbacon and 5 others like this. Honestly? That was my first idea for a collection! I even had a group called "Women Warriors" on the old PinPics. It was going to be my "Dynamite Gals" collection. I narrowed it down so I could focus on Mulan, but I've gotten about all I'm going to get for her at this point, and new stuff is few and far between. Might be time to revive the dream! bcol and timeerkat like this. mickeymousje, DitzyDreamer, watzshakinbacon and 1 other person like this. Love the idea of the badass women collection!!! Think thats the next thing I'm gonna start working on! I really need to watch Atlantis. Haven't seen. So have people been offering souls, kidneys, and left testicles for Rapunzel? Or is that just the asking price in addition to several hundred dollars. For me, Tiana is the winner. NutMeg, Disneychildwithin, arielsdinglehopper and 1 other person like this. I agree - Tiana is by far my favourite from this set! Does anyone else feel this set is aptly named? I'm definitely developing a "heroine" addiction. TinyTink, Pilotprincess916, TheMickeyMouseRules and 5 others like this. mickeymousje, Pilotprincess916, raikipins and 11 others like this. Damn. We all got into the wrong hobby.